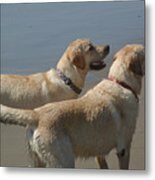 Up until a couple years back I had a couple labs looking just like these two... Little tears try slipping out of my eyes as they are incredibly GOOD dogs! Thumbs Up! 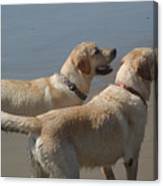 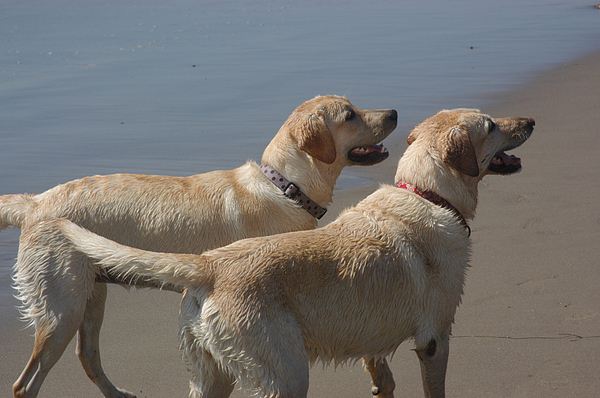 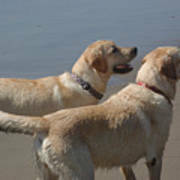 Two yellow labs wait in anticipation of playing ball in the surf.